Robin Boom recently went on a 10-day adventure with 17 fellow Kiwis to Sri Lanka to look at a dairy project to assist peasant farmers. 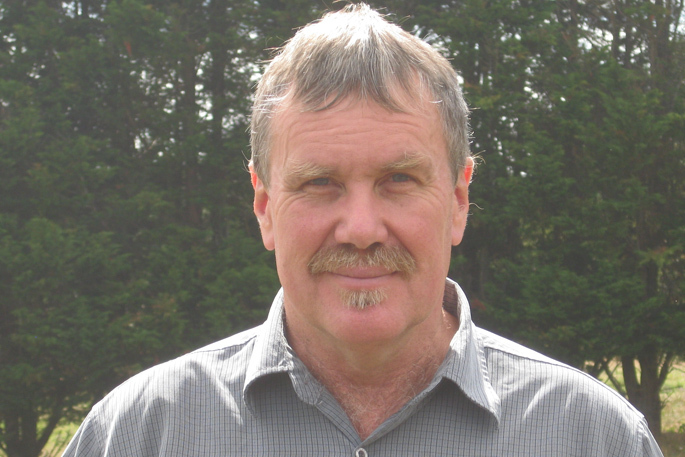 Coast & Country News columnist Robin Boom, of Agronomic Advisory Services, usually shares his expert advice on fertiliser options for Kiwis farmers. Here, he shares a recent 10-day adventure with 17 fellow Kiwis to Sri Lanka to look at a dairy project Tearfund and the NZ Government have partnered on to assist peasant farmers to become economically self-sufficient. The project, known as The Dry Zone Smallholder Dairy Expansion Programme, focuses on an area in the north and east of Sri Lanka, which faced devastation from a 25-year long civil war between the Tamil Tigers and Sri Lankan Government, which ended in 2009 and killed around 100,000 civilians and 50,000 fighters. The 2004 tsunami also killed another 30,000 people in the eastern coastal region. Now milk is the vehicle that is changing lives there, says Robin. “The project is a continuation of Tearfund’s empowerment programme in Sri Lanka to help poor smallholder farmers become economically self-sufficient through dairy farming and linking them directly to growing national consumer markets. The project initially focused on modernising the traditional dairy activity of poor families in the Northern Province south of Jaffna, but is now expanding the programme during the next three years into 150 communities across nine districts, and establishing a dairy training programme with a training farm geared towards getting youth and young adults into the sector. “Within these communities the goal is to see 7500 farmers supplying about 1.5 million litres of milk per month. Robin says one trip highlight was visiting a widow whose husband was killed by the military at the end of the war and left alone with two children. “With the help of Selina and the dairy project, she was able to regain her land, about four acres) and was supported into dairy farming. “She now has four cows and runs a pristine farm, with one of her cows producing 20 litres a day – a staggering achievement in the tropics where many cows commonly produce between two-four litres/day. Alongside these thriving cows, this standout lady wasted nothing, utilising everything, even recycling her cows’ effluent into biofuel. “By contrast, the following day we visited a young struggling farmer who had hit rock bottom. Without intervention from Selina’s team he would have had no cows left and no income by the end of January. Robin says Sri Lankan dairying has many challenges and nothing quite runs like it does in NZ, but there is tremendous potential. “Some farmers have proven just how successful they can be when provided with a little support and a market for their milk. I’ve seen considerable resilience and courage in the face of adversity. The team on the ground continue to work hard for peace and reconciliation for their people both Tamil and Sinhala and their passion is contagious. “With my own skills in agronomy and soil fertility I offered to provide some free soil testing and fertiliser advice on a number of properties, which is something new to them. A feed source the dairy farmers in the project are being encouraged to plant is a Napier grass cultivar known as CO3 grass, which is a fast-growing tropical grass that grows up to 3m tall, but is manually harvested when around 2m tall, cut down to about 0.5m. The leaves are then put through a shredding machine and fed to cows in buckets. “It is high in fibre but low in protein, so one of the challenges is to find a high protein source that can handle the Sri Lankan climate,” says Robin. Another highlight for Robin was visiting the demonstration farm Fonterra set up where approximately 30 cows are milked through a proper milking shed, compared to the peasant farmer’s cows which are generally hand-milked into buckets. “At the Fonterra farm they are trialling tagasaste (tree lucerne) as a protein source. Or phone Robin on 0274448764.